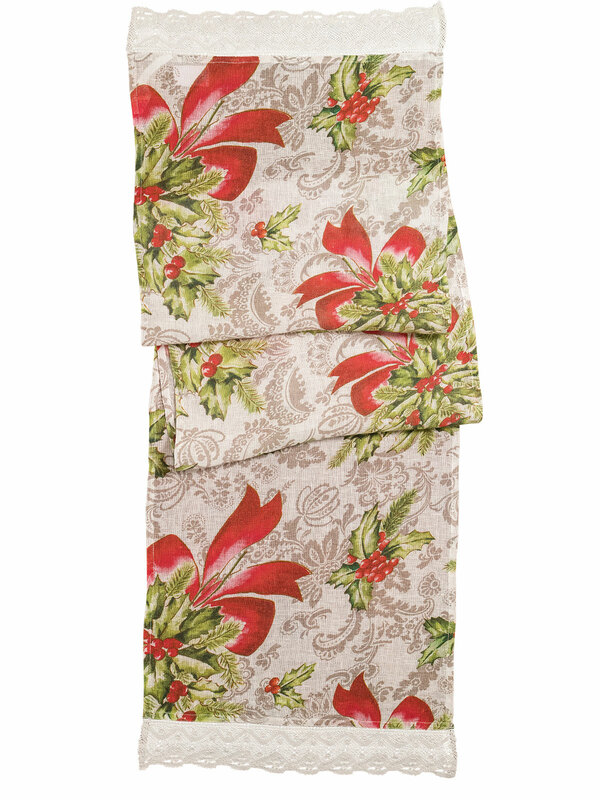 A gorgeous 'layered' design on super saturated, luxurious linen! 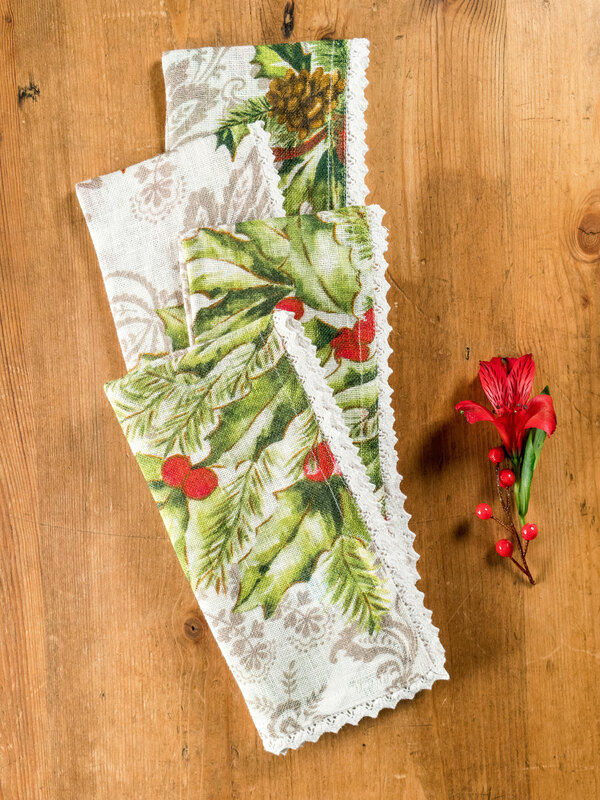 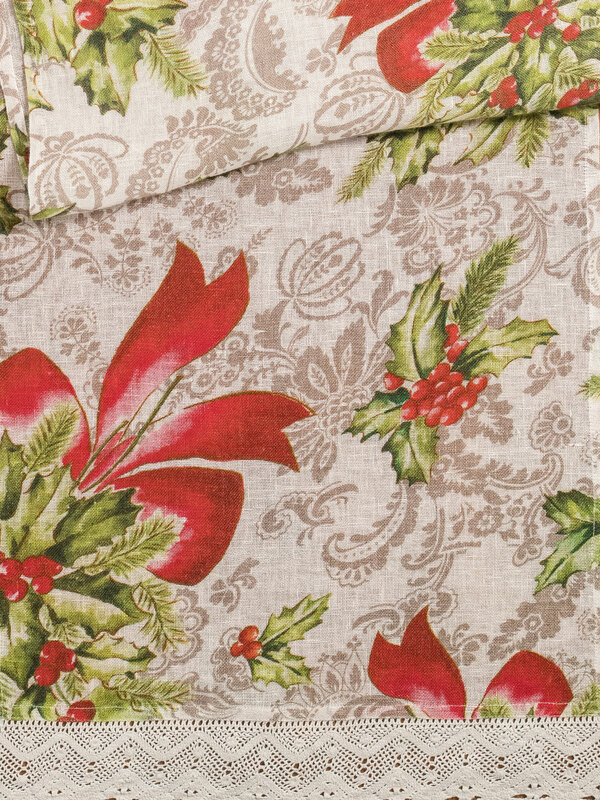 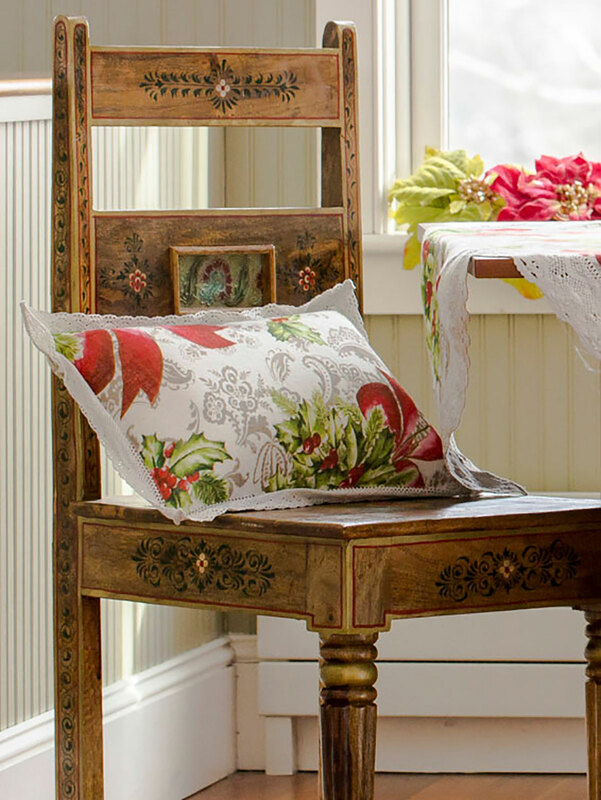 The perfect pattern to celebrate the joy and wonder of the season, our Deck the Holly collection features festive colors masterfully rendered in the artists unmistakable style. 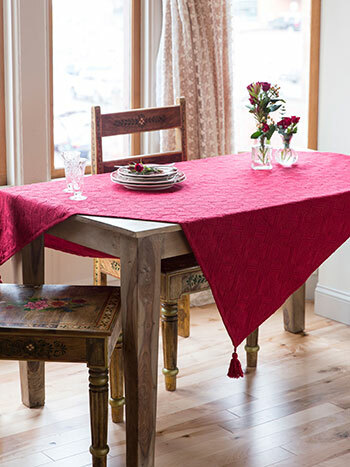 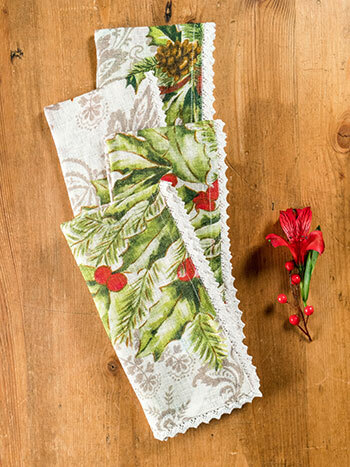 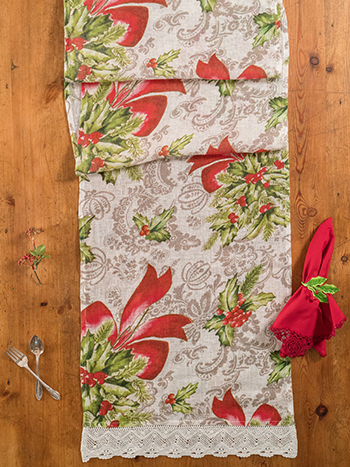 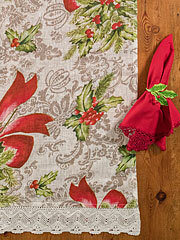 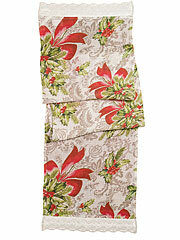 I love my holly runner & tablecloth.Looks elegant in my dining room and kitchen. 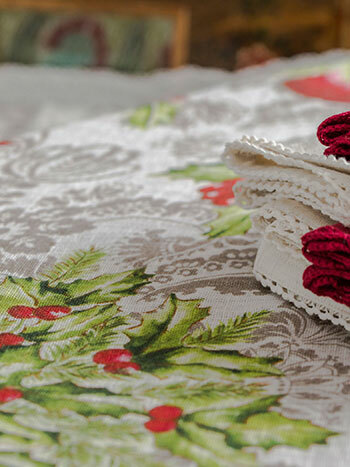 So glad I found this holiday table dressing.